If the idea of a lamb and green bean stew seems a little much for the extreme weather, you might want to think twice. 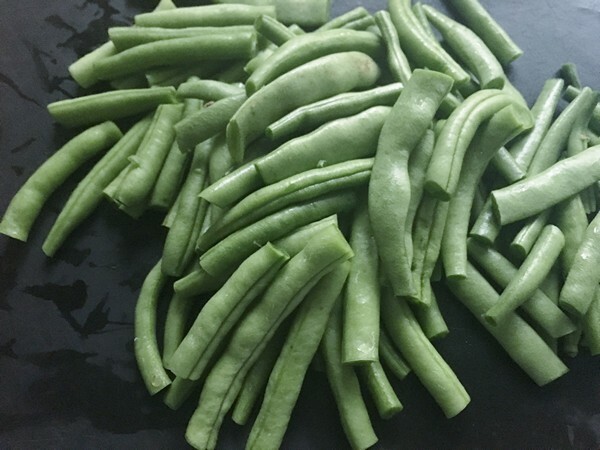 At my CSA, green beans are ripe for the picking. And it cooks pretty fast. Heat the olive oil in a large sauté pan on high heat. Add the lamb and brown on all sides. 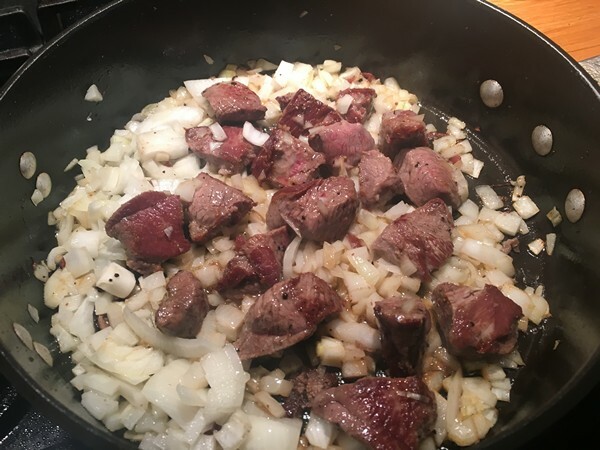 Reduce the heat to medium-high, add the onions and cook until they’re golden brown. Add the spices, cover and simmer for 30 minutes. Add the beans to the pan, and simmer until they’re crisp-tender about another 10-15 minutes. Serve with rice pilaf or couscous and enjoy! My verdict: Growing up, this was a family favorite that my mother made fairly often. The Accidental Locavore isn’t sure where/how she always had a sweet spot for Middle Eastern food, especially Armenian, where this supposedly hails from. I hadn’t even thought about lamb and beans in years but when I was picking green beans at the farm, suddenly I just needed to make it. It was really good, especially with fresh-picked beans and local lamb and comes together in under an hour. I always add more allspice, because it’s a flavor I love. 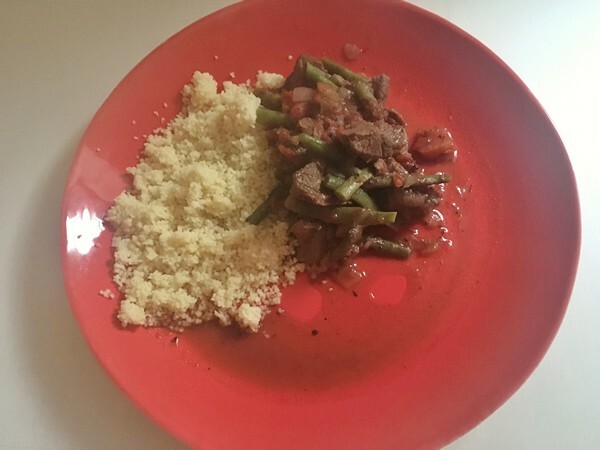 Going against tradition (and not really feeling like messing with pilaf), I served it with some couscous, which is always the quicker/lazier/healthier(?) way to add something to soak up all the delicious sauce! If you want the original cookbook, Word of Mouth, which it comes from, it’s still available on amazon.com or possibly there are still copies under my mother’s bed.